No matter what skin care regimen you follow, it may seem that you cannot easily avoid having blackheads. They just come and go, unless you are the type who happens to have great genes and spotless skin, lucky you! Otherwise, blackheads are something that you have to deal with from time to time. It is then deemed necessary to know how to remove blackheads on nose as well as other parts of the face or body. What are blackheads & why do we have them? Blackheads are dark tiny bumps which may appear on your chin, nose, back, chest, and shoulders. There are a lot of reasons and factors that contribute to having blackheads, but it is mainly caused by getting dirt and oil trapped in your pores. It can happen with all skin types although it is most common among the ones with oily skin. Our nose has the largest pores on our face, and this makes it more prone to developing blackheads. Excess dirt, bacteria, and sebum form on top of your pores which turns black as they sit on your skin longer and get exposed to oxygen. Unlike pimples and whiteheads which develop underneath your skin, blackheads form on the surface making it easier to remove. Excess sebum on the skin is the main culprit and cause of blackheads. The skin can become greasy, shiny, and clogged if your glands in charge of producing sebum are in overdrive. Your skin can be oily due to hormonal imbalances, genetics, heavy moisturizers, puberty, and use of cleansers which can cause overcompensation of glands producing more oil. And since the T-zone is the oiliest part, you tend to see blackheads there more often. Dilated or large pores can both be a cause and a result of blackheads. If you naturally have large pores, then you are more likely to get blackheads since oil can accumulate on your skin easier. But if you just started to develop blackheads, then it can cause your pores to get dilated over time as they stretch the pores out when the oil gets clogged. Aside from oil, dirt that gets stuck and clogged in your pores also causes blackheads to develop. If you do not clean your face on a regular basis, then the bacteria and oil on your face can lead to even more blackheads. However, harsh cleansers and too much washing of your face can also lead to getting blackheads since they strip away your skin’s natural protective oils. Using cosmetics with comedogenic products can block your pores and increase blackhead production. Heavy makeup and constant application of heavy concealer and foundation are common sources of comedogens which do not allow the pores to breathe and then causes more breakouts. And so, it can be a cycle of covering your blackheads using makeup or getting more blackheads because of them. how to remove blackheads on nose? Baking soda has the capability of removing debris from your pores due to its cleansing properties. It has a gritty texture that will help remove oil plugs and dead skin cells stuck on the surface of your nose. You simply need to mix the baking soda with water until you reach a gritty consistency that you can quickly spread and scrub over your skin. Honey is an excellent antibacterial cleanser, and its stickiness will allow the dirt and the blackheads to get out easily. You can mix it with sugar before applying over your nose and then use a circular motion to scrub the mixture. Jojoba oil has a similar consistency to your skin sebum which can help balance your skin’s natural oils. It can also help unclog pores due to its non-comedogenic properties. Tea tree oil has good antibacterial properties which help kill bacteria and fight acne naturally. However, it is an essential oil which cannot be applied to your skin directly, so it needs a carrier. This is by far the most affordable and effective way to remove blackheads by scrubbing them away from your nose in a gentle manner. Of course, you should choose a soft-bristled brush which will only be used for your nose. You can soak it in oil before brushing your nose in a circular motion for a minute or two to remove your blackheads. Face masks work by absorbing excess oil and impurities from your skin, thus removing blackheads. You can choose from clay mask which is considered the best natural cleanser; an oatmeal mask which moisturizes, soothes, and exfoliates your skin while gently scrubbing away oil plugs; and the egg-white mask which works by tightening your pores and stripping the blackheads without getting your skin dry. 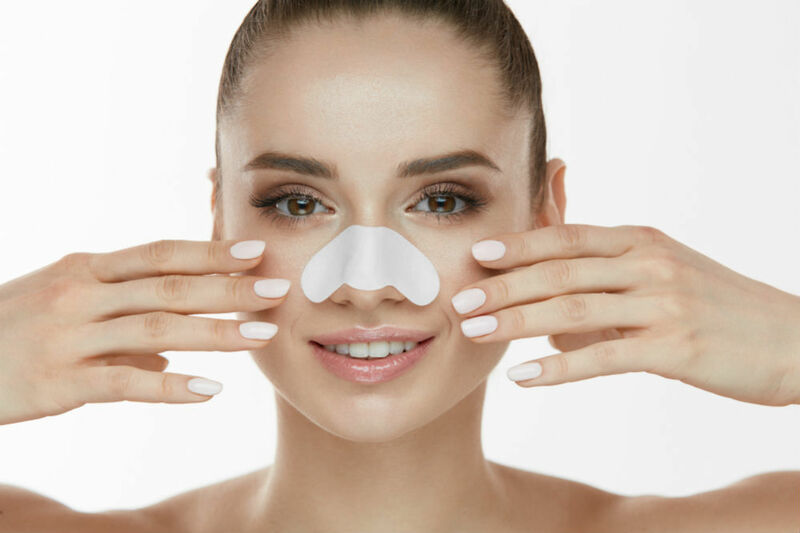 After a thorough discussion about how to remove blackheads on nose and other parts of the face or body, we can say that there are a lot of cheap remedies within your reach. If you do not have the means to seek professional help, then you can start with the homemade treatments. Additionally, you also have to know the factors that cause your blackhead outbreak. Keep in mind that the causes may differ from one person to another, and one skin type to another. Overall, your knowledge about your skin and what triggers the breakout are critical things to keep in mind. After all, pimples and blackheads are the last things you want on your face! You can start by practicing good hygiene habits before trying any other methods since harsh chemicals can aggravate breakouts.